Presenting an interesting mixture of super heroics, horror, and even post-apocalyptic calamity (later on) Hellboy has offered a little something for almost everyone. The character, created by Mike Mignola, has stood the test of time as well, and is now celebrating 25 years. Of course, that’s not one continuous run, since comics really don’t do that any more. Dark Horse has staggered Hellboy’s tale across series’ both mini and maxi, and a few ongoings… some of which didn’t even really star the main devil. 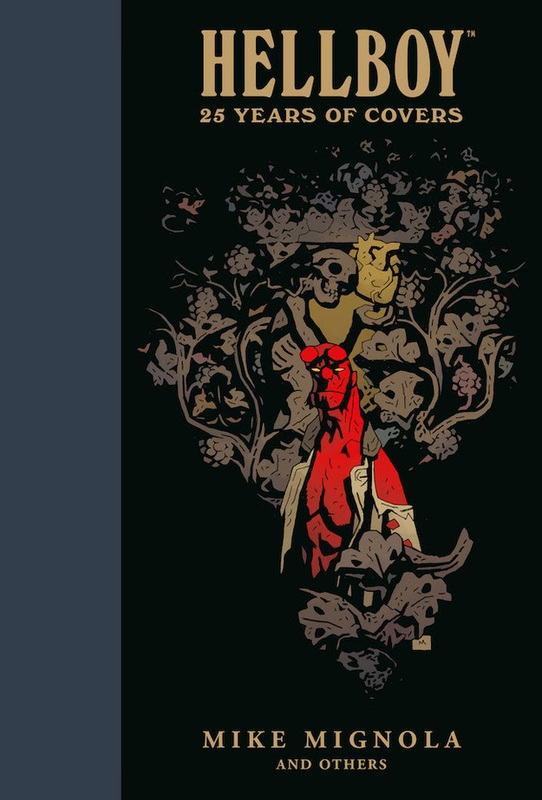 Now you can take a look back through all of it though, thanks to Hellboy: 25 Years of Covers. The hardcover tome includes more than 150 covers in total, going all the way back to Seed of Destruction. You’ll also find a forward from Mignola himself, as well as plenty of art from the creator. Though, his isn’t the only work that’ll be gracing the ages, as stuff from “Richard Corben, Duncan Fegredo, and more” is all inside. Hellboy: 25 Years of Covers will land at retail on July 3rd. Though, that’s not all thats coming up in this year for the hero. Dark Horse will also celebrate “Hellboy Day” on March 23rd, and it’ll do it in style. The publisher will be giving away fresh printings of Hellboy’s original adventure, the aforementioned Seed of Evil #1, at participating comics shops. The book will be a straight reprint, but will sport a brand new cover from Mignola and Hellboy mainstay Dave Stewart. “Select” stores will also be hosting Hellboy Day events, though those seem to be a mystery at the moment. Oh yeah, then there’s also the new Hellboy movie. That’ll be hitting theaters on April 12th.